We all love our canine friends and want them to be comfortable both in and out of our homes. Giving them special homes of their own is one of the keys to this comfort. When we buy a dog crate, we want to be sure we are giving our pets the best, and before we can do this, we need to know a few things. You can’t start looking for a crate until you know what size you need. 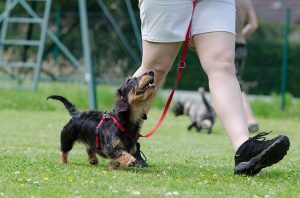 Your first steps are to take the height, length, and weight of your dog. To find the height, measure from the shoulder to the floor, and for length, find out the distance from nose to tail. One thing to note is that if your dog is not full grown, you could be letting yourself in for multiple purchases. If you would rather buy one crate, instead of measuring do some research to find out the average size of the adults in your puppy’s breed. Purchase based on this calculation. Another point to consider is that your cage must accommodate not only your dog but also whatever you choose to put with it. Toys, dishes, and especially cushions might require you to increase your measurements in order to keep your dog comfortable. What Are Your Dog’s Needs? Crates are generally metal, plastic, soft-sided, or wooden. The kind of crate you buy will depend first on the strength of your dog. Of course, you don’t want to buy a crate that he or she will destroy in a matter of minutes or hours, so you need to consider the different materials available and their advantages and disadvantages. Metal crates, for example, are unbelievably strong if made well, but they are pathetically weak if not. You also need to look at your puppy’s individual personality and issues. If your puppy suffers from separation anxiety, for example, you will want to go with a plastic crate which keeps it from seeing too much. Should you plan for your puppy to stay outside, you will need a wooden crate to protect it from the elements. Then, too, if you want to crate train your dog, you will be happier with a metal option as they are easier to clean. However, it is possible that no one particular kind will seem to suit your pet, in which case you might need to get creative. If you want the strength of the metal but the emotional security of the plastic, for example, you can try covering a metal crate with blankets. What About Very Small and Very Large Dogs? For the miniatures of the dog world, you will need to be extra careful. 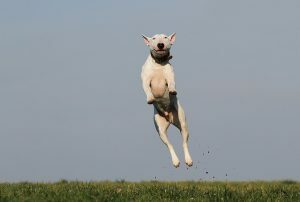 Although these dogs will not have the strength of bigger dogs, there are peculiarities to which you must pay attention. For instance, small mouths can get into small gaps and chew, so make sure the doors of your crate are particularly secure. Likewise, if you are crate training, it is especially tricky to get a crate the right size for a small dog. You want to choose one big enough for it to be comfortable but small enough to prevent its sectioning it off for doing its business and resting. Similarly, for large dogs, you want a crate that will keep them comfortable but will not give them room to run around. A crate is a resting place, not a play yard. Wooden crates are often suitable for exceptionally large dogs outside, while metal ones may work best inside. There are a number of factors in choosing a suitable dog crate for your pet, but the best judgments will come from knowing your animal well. There is no crate perfect for all dogs, but there is one just right for yours.